Let’s make this intro short and sweet. This is one of the best outdoor watches on the marker, it you like it reliable, tough and long-lasting. That is what Casio is know for. This watch is not as fancy as say a Suunto Vertical, which I use quite a lot. But then again, Suunto’s run out of battery after a long hike. This one is solar, so if you keep it in the light, it will run…forever (10 years is the claim from Casio). 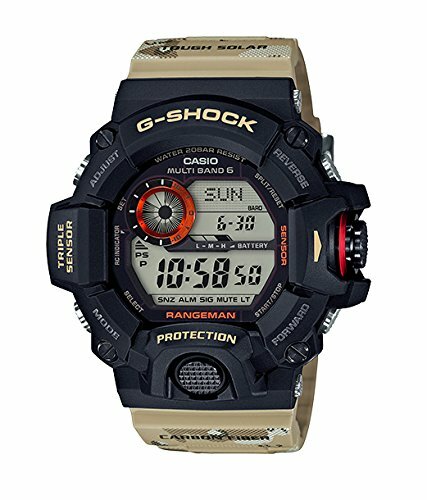 And, this baby comes with all the useful features an outdoorsman could need: digital compass, altimeter/barometer, sunset/sunrise, 200m water resistant (ie. scuba ready) and more. And typical Casio protection – aka, almost bullet proof. Ok, so that is pretty much everything this feature-packed watch has. As I said earlier, it is a great companion for anyone spending time outdoors, overseas or just wants to know more about where they are. If you want even more detail, keep reading below…. 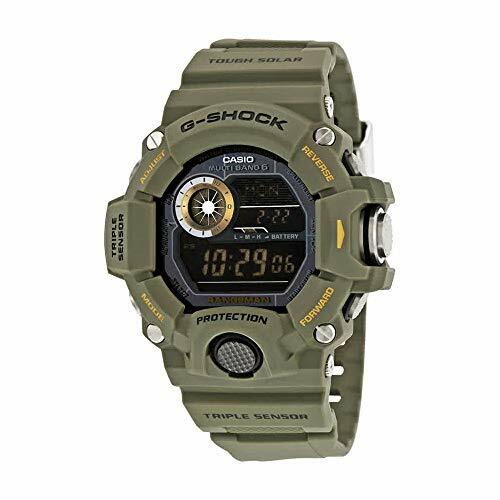 One of the best features of the G Shock watches is how durable they are. The team at Casio actually test this watch for shock by dropping it some 10m (33ft). On top of that, it is also seriously protected by the plastic around the face. So, even if you do drop it, there is little chance of it hitting anything important. The buttons are also very well designed – large textured steel internally reinforced. Casio have also sealed the 9400 from mud, dirt and also water, with 200m water resistance (meaning dive ready – at least for dives not too deep). And it has been tested to -14 F too. Although I would not be surprised if it functions no problem way below that. All in all, this watch is not going to break anytime soon. 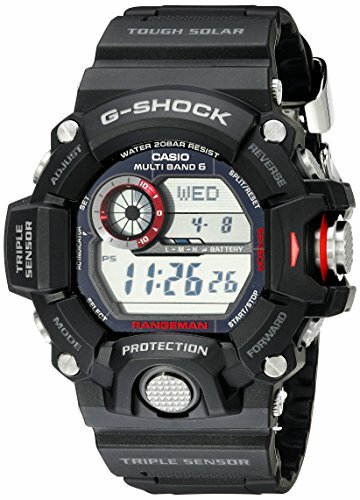 The core features of this watch are all in the triple sensor that Casio have added. It gives you all the things you need in the outdoors in simple displays that you cycle through via the top right hand button. The compass shows you the degrees, as well as using the circular display to show heading in the top left. The barometer gives you pressure, as well as alerting you to changes in case of upcoming storms. The altimeter provides your current height and also tracks changes (showing a simple chart). The temperature simply displays the ambient temperature around the watch – just be sure to leave the watch aside for a while to get accurate (not influenced by your body) readings. All of these readings can be stored in the memory for later reference if you need them. One of the other cool features you might find handy when in the outdoors is the sunrise/sunset feature. It is based on your longitude (via a city location choice) and can then be tuned based on your latitude. So, in the end it can be very accurate indeed. The Rangeman series are also able to connect via radio to Atomic clocks and sync the time to help keep it accurate. It can be set to run at 3am daily, or done manually. Solar charging is included, which means that the watch picks up any ambient light, even indoors, and charges the watch continuously. Just be aware that if it is close to flat, which does not happen easily, then it is best to charge it by a window or using a solar charger. Light in an office or similar is usually not that bright and might take some time to charge. The watch has a display showing how charged it is too. In terms of the usual digital watch features the Rangeman also delivers, with a countdown timer, stop watch, hourly reminder and 5 different alarms too. The Rangeman 9400 comes in three main color choices. There is black with red accents, khaki green with yellow accents, and a camo/black hybrid also with red accents. You can see them all below and click them to check out their prices on Amazon.